At Beck Law Offices, our attorneys have represented both employers and unions in labor disputes. Our twenty-five years of legal experience has allowed us to practice in many different areas of labor law. We have represented and advised both employers and unions in the negotiation of collective bargaining agreements, and also during the resolution of labor disputes through mediation, fact-finding and arbitration procedures. Our attorneys have drafted employee handbooks, drafted non-compete clauses in contracts and various compensation agreements and have helped resolve wage and hour disputes. We have also advised both employers and unions as to their rights and duties as regulated by the Fair Labor Standards Act. Larry Beck has served as a frequent lecturer to municipal and private employers on employment law and risk management. We also have a wide range of experience in many different employment law claims. Such experience includes suits arising under Title VII of the Civil Rights Act of 1964, the Civil Rights Act of 1991, the Americans with Disabilities Act of 1990, the Fair Labor Standards Act, the Age Discrimination in Employment Act, and the Family Medical Leave Act of 1993, along with other federal and state laws regulating the workplace. 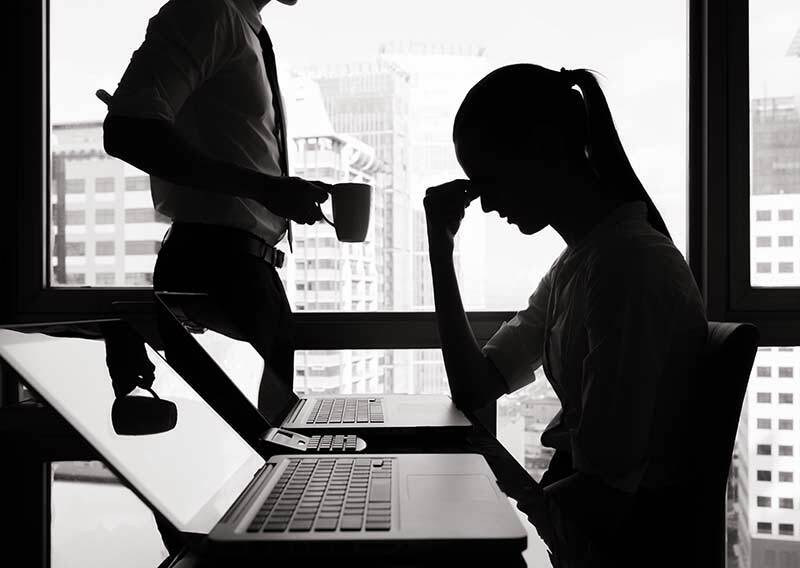 Our attorneys also have experience in bringing and defending claims based on wrongful termination, breach of contract, fraud, negligent misrepresentation, intentional infliction of emotional distress and civil conspiracy. Our office has conducted numerous investigations on behalf of employers into workplace misconduct, harassment, theft and dishonesty issues. We have also conducted investigations for employers on issues of sexual harassment, worker’s compensation fraud, workplace violence and general allegations of employee misconduct. Employers have advised us that very few private investigation firms specialize in workplace investigations, and that many Human Resource consultants are not necessarily well versed in important litigation issues, such as attorney-client privilege, lawyer work product privilege, employer privileges and the types and amount of proof needed for the employer to prevail at trial. In our over 25 years of legal experience handling these types of issues, we are well versed in the legal requirements of conducting proper investigations. We believe that part of our success is due to the fact that we represent both employers and unions in labor law matters. This practice has allowed us to “see both sides of the field” when representing clients, and to better understand and appreciate the best way of accomplishing the goals of our clients. This broad range of experience has been invaluable in resolving labor law matters.